'Organization strategy should be taken forward with a focus on using technology as enabler. This should be the core in all aspects of management. 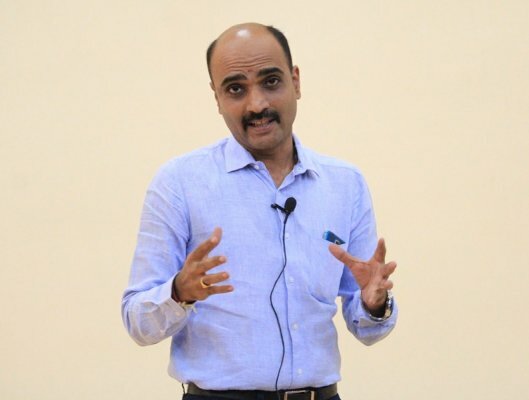 We should explore ways as to how Internet of Things (IoT), Social Media, to put it succinctly, the concept of 'Digital Marketing' can help us in product management, product marketing, customer feedback, and research & innovation' thus said Rajanikanth Urs M.C., SDMite of PGDM 1998-2000; and, Regional Category Manager, Asia Pacific & Japan, HPE FlexNetwork and Aruba Switching, Aruba, a Hewlett Packard Enterprise Company. The talk that focused on 'Product Marketing and Management' was scheduled on December 20, 2016 at our Institute Auditorium.